Deanna Lund was a guest at the Los Angeles Comic Book and Science Fiction Convention on Sunday 20th August 2017 at The Reef, 1933 South Broadway, Los Angeles, Ca 90007. Deanna was appearing as part of a Batman themed reunion of Batman hencewomen. 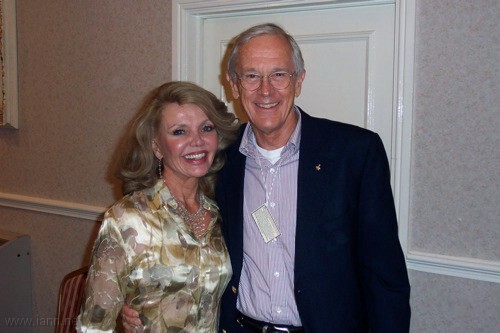 Deanna Lund returned to Virginia on 1st October 2016 to help celebrate the 40th Anniversary of RoVaCon 1, the first media event held in Southwestern and Western Virginia. The Virginia Media Event Reunion will be held Saturday October 1 at Holiday Inn, 3315 Ordway Drive Roanoke, VA near the airport. There will be a full day of activities with media guests, speakers, panels, films, memorabilia sales tables and a banquet with a program. 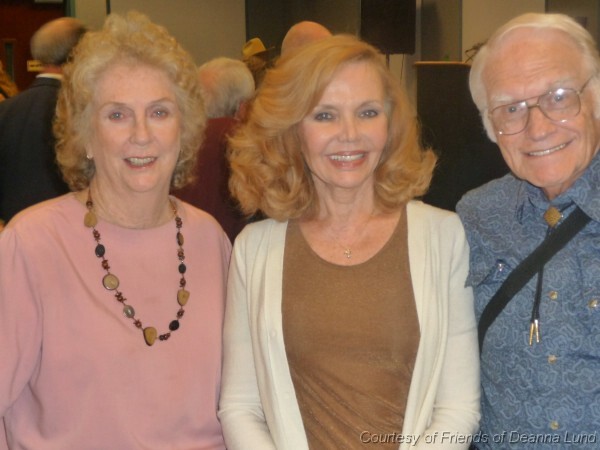 Land of the Giants stars Deanna Lund and Gary Conway attended the 29th October 2016 Campbell Con at the Campbell Community Center in Campbell, CA. 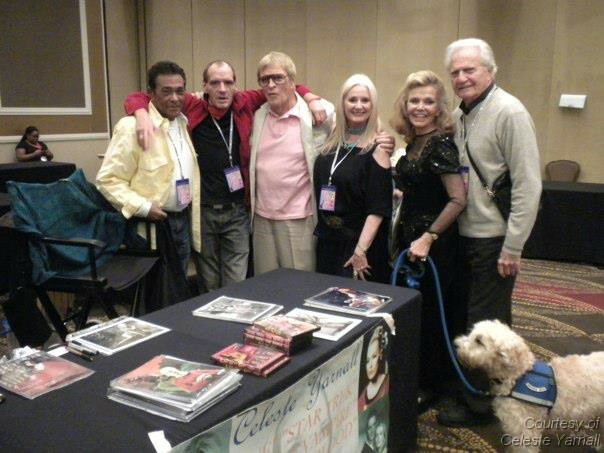 Deanna Lund and Lee Meriwether were guests at the New Jersey Comic Expo on 12-13 November 2011. 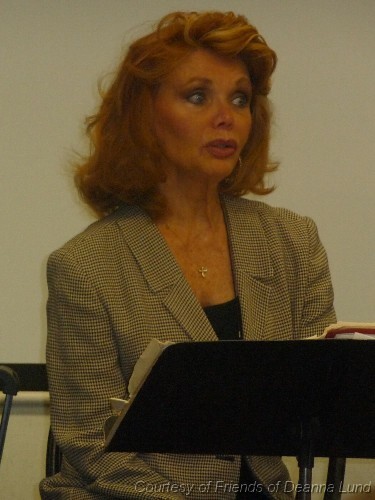 Deanna Lund was a guest at the 8-9 October 2011 Hollywood Show. Other Irwin Allen related guests included Lee Meriwether, Francine York, Yvonne Craig, Malachi Throne, Victor Lundin, William Smith (Code Red), Carol Channing (Alice in Wonderland), Eric Shea (The Poseidon Adventure), Frankie Avalon (Voyage to the Bottom of the Sea, 1961 movie) and Sherry Jackson (Lost in Space, Where Danger Lives). For full details, please visit the Hollywood Show web site. Deanna Lund has recently attended the Western Film Fair on 20-23 July 2011 which was held at the CLARION SUNDANCE PLAZA HOTEL, 3050 University Parkway, Winston Salem, North Carolina. 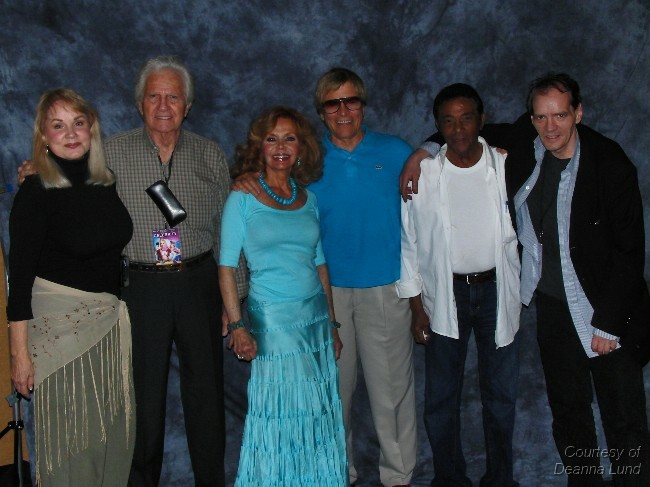 Deanna Lund, Don Matheson, Don Marshall, June Lockhart and Mark Goddard were guests at the Hollywood Expo on 15-17 October 2010 at the Hilton at Universal Studios in Los Angeles. For more details, please visit the Hollywood Expo web site. 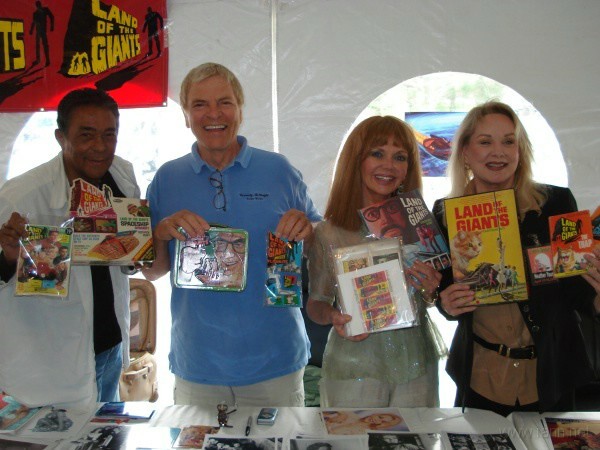 All of the cast members of Land of the Giants, namely Deanna Lund, Gary Conway, Heather Young, Don Marshall, Don Matheson and Stefan Arngrim attended the Hollywood Show at the Burbank Airport Marriott Hotel and Convention Center on 9-10 October 2010. Several Irwin Allen stars and guests attended the Anaheim Comic Con at the Anaheim Convention Center on 16-18 April 2010. 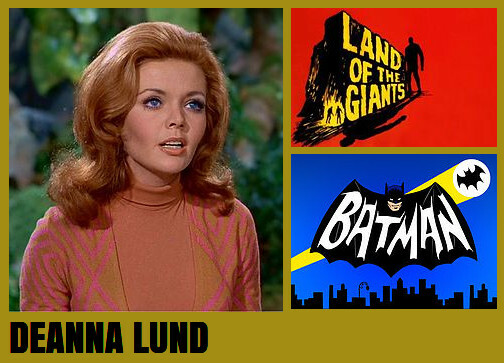 The list of stars attending included Deanna Lund, Don Marshall, Don Matheson, David Hedison, Lee Meriwether, Yvonne Craig, Michael J. Pollard, Richard Anderson, and Malachi Throne. Deanna Lund attended the Western Film Fair in Winston Salem, North Carolina, 15-18 July 2009. 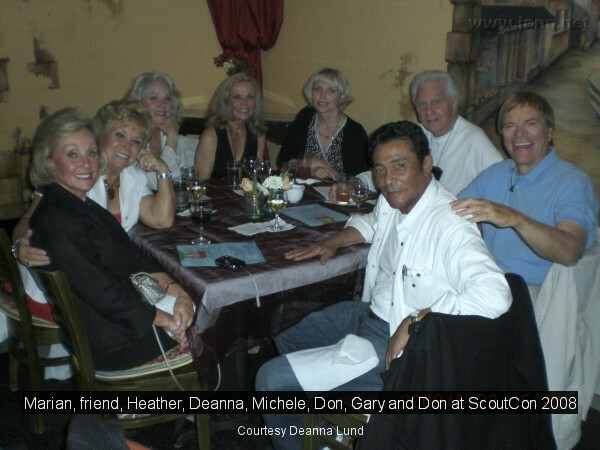 Friends of Deanna Lund were to support Deanna and the event. Deanna Lund attended the Labor Day Flea Market and Gun Show in Hillsville, Carroll County, Virginia on Saturday 30th to Sunday 31st August, 2008. Click on here or on the image below to view a gallery of pictures from her trip. The Land of the Giants cast recently attended a fabulous new event called ScoutCon which was held on Saturday 24th May 2008 in Tampa, Florida. Attendees included: Gary Conway, Don Marshall, Deanna Lund, Don Matheson, Heather Young, as well as Don and Deanna's daughter Michele Matheson, Mark Goddard from Lost in Space, Gary Lockwood and Keir Dullea (stars of 2001: A Space Odyssey), Gil Gerard and Erin Grey (Buck Rogers), and Grace Lee Whitney and Sean Kenny (Star Trek). Deanna very kindly sent us the above picture, taken on the day of their arrival. We hope that this is the first of many successful conventions for ScoutCon. Cast members from Land Of The Giants, Lost in Space and Time Tunnel attended Autographica in Coventry, UK, 8-10 October 2004. The Irwin Allen News Network held a welcome reception for all attending Irwin Allen guests and fans. Details on the IANN web site. September 8, 2007 for Olde Salem Day, the party tribute the following day. Salem, Virginia. November 7-10, 2007 for the 12th Annual Western North Carolina Film Festival. Asheville, North Carolina. Chiller Theatre Expo, 23-25 April 2004 New Jersey, USA, Sheraton Meadowlands, E. Rutherford, NJ. Included reunions of Voyage and Giants cast members plus Lost in Space cast members. For full list of guests, please visit the Chiller Web Site guest list. Several Irwin Allen Cast Members attended the MegaCon event in Orlando, Florida 5 - 7 March 2004. For more information, see the website for MegaCon. Note: Deanna often appears at memorabilia shows in California and Florida.